Even though we still have a long wait until Star Wars: Episode IX, we've got a lot to look forward to in the coming months. Star Wars is going to be making a big splash on the small screen before long, and it will have a major presence on Disney's upcoming streaming service. One of the most exciting shows coming to the service is the long awaited Star Wars live-action series, headed by Jon Favreau. Thanks to our friends at Making Star Wars we just might have an idea what the series will be about. 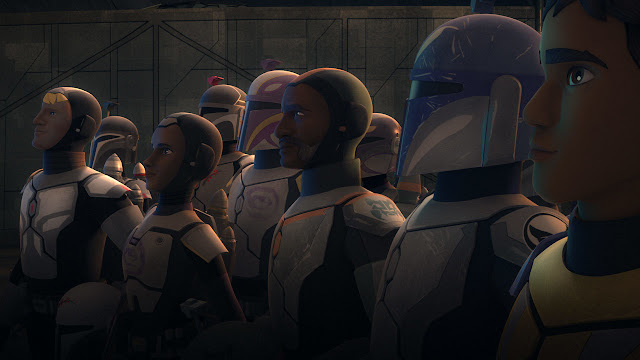 "Sources believe Jon Favreau’s Star Wars live action series, which is set around three years after Return of the Jedi is about the planet Mandalore. It sounds like when the Empire falls, Mandalore falls into a state of turmoil and the series is about restoring Mandalore to its former self and how Mandalore sways will have huge galactic ramifications." Jason also goes on to point out that the recent announcement about the return of Star Wars: The Clone Wars seems to correlate with this information. It has been widely know that the series finale episode arc, referred to as "The Seige Of Mandalore", will bring the ongoing Mandalorian conflict seen throughout the series to a head. That arc will be included in the set of 12 Clone Wars episodes coming to Disney's streaming service, alongside Favreau's series. I think it's safe to assume that these two series, as well as Star Wars Rebels, could tie together to tell a much larger Mandalorian storyline. "Another consistent rumor I have heard is that the effects will be seen in monitor, thanks to technology provided by ILMxLAB, so they can save money by knowing if they got what they needed right away. I don’t believe a shot has been used in a Star Wars film using the newer tech, only pre-visual work. Perhaps the idea is to make it TV ready and then when we’re used to the look as fans and it improves exponentially they can make Star Wars films better for even cheaper than they cost today? Perhaps that is the long term goal?" A recent report by the New York Times suggested that 10 episode of the series will cost "roughly $100 million" to produce, so this may be one way the creators are looking to lower the series' budget. Be sure to head over to Making Star Wars to read their full report. All of this sounds very exciting and I can't wait finally see live-action Star Wars on television! If this is indeed true, it is fascinatingly ironic to see Jon Favreau, who's first Star Wars role was voicing Death Watch leader Pre Vizsla in The Clone Wars, will now have a hand in guiding the story of the Mandalorians years later. The culture of Mandalore is one of the intriguing parts of the Star Wars universe and it will be great to see the planet and its people fully realized on the small screen. As always this is just a rumor, so take this report with a grain of salt until officially confirmed by Lucasfilm. "to see Jon Favreau, who's first Star role was voicing Death Watch leader Pre Vizsla in The Clone Wars,"
also, YES. this might actually be the thing that saves Star Wars sat this point. Favreau is still, in my opinion and even after all this time, an underrated talent. combine his skill/ability with star wars fans' unending thirst for mandalorian content and you have a recipe for success.